Here’s my contribution for a really tasty side dish for Thanksgiving or any upcoming holiday dinner, a traditional holiday side dish in my family. 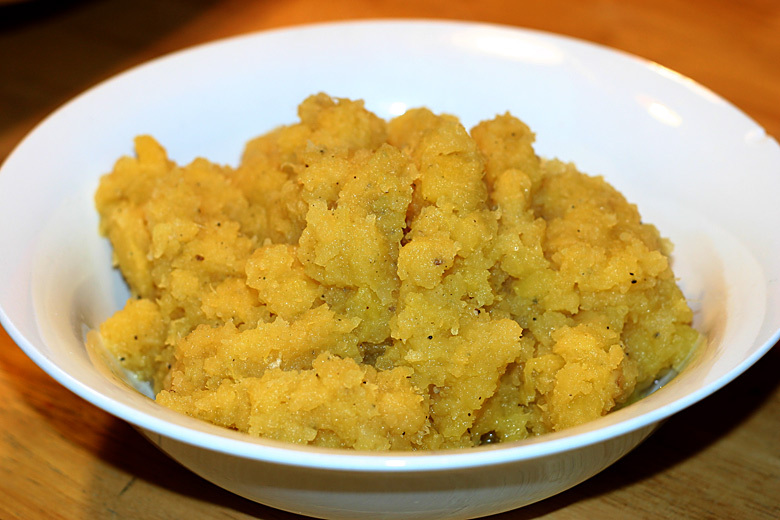 My Scottish Grandma used to make mashed rutabaga as a side for holiday meals. She called them “Swedes”, which Wikipedia tells me is what they’re called in most British Commonwealth nations, having originated in Sweden. They’re a cross between a turnip and a cabbage, and they have a delicious earthy, cabbage-like flavor. Well, enough rutabaga fun facts. Here’s what you really need to know- how to cook them! 3 Good-Sized Rutabagas (a little larger than a softball). A Potato Masher comes in really handy! Cut ends off rutabagas and peel off skin. Rutabagas are difficult to work with, so carefully cutting the skin off with a sharp knife will probably work better than a potato peeler. 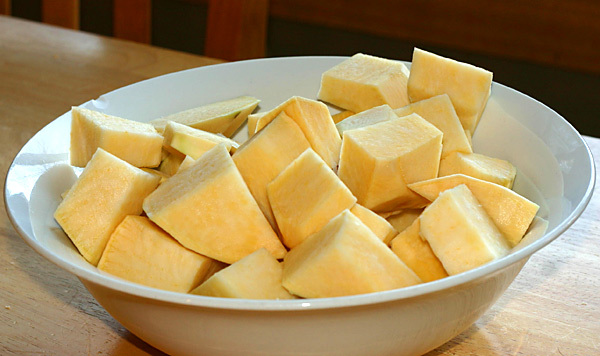 Chop the rutabagas up into roughly inch and a half wide cubes, being careful because rutabagas are very hard and dense in their raw state, and difficult to cut up. 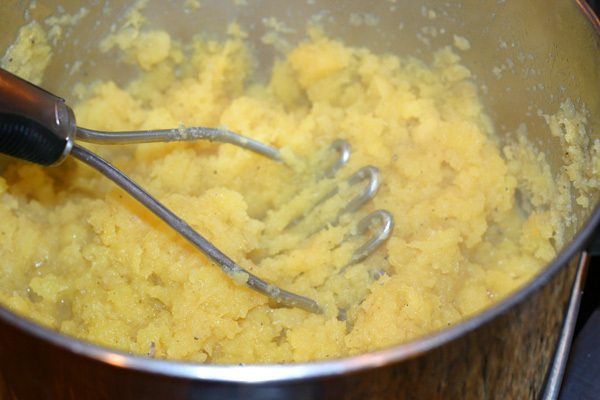 Some recipes for mashed rutabaga say to add cream. I think a generous amount of butter plus some good chicken stock give the rutabagas plenty of extra flavor. I like to take about a pint or so of low-sodium chicken stock and boil it down by 1/2 or more to concentrate the flavor. 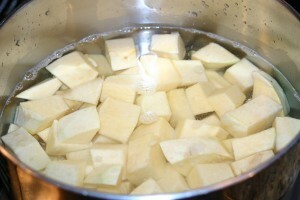 As the chicken stock starts to reduce, put the rutabaga pieces into a large pot and fill with water so they’re covered. Bring to a boil, reduce heat to medium/low and simmer the rutabaga until it’s easy to break apart with a fork, about 1/2 hour. Drain the water from the rutabaga pieces and put them back into the pot. Now comes the fun part– mashing! 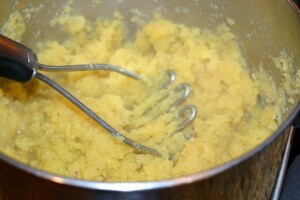 Add the butter, salt and pepper, and the reduced chicken stock a little at a time, mashing and stirring until it gets to a chunky mashed potato consistency. Taste as you go to add more butter, stock or seasoning as needed. Enjoy!